For Mr.’s birthday, I made cupcakes! Mind you, he did not ask me to make them – he doesn’t much enjoy sweets (weirdo). I saw a picture and decided to get Pinterst-y. Also, it was near Easter and my mom’s birthday and I hadn’t busted out my new cupcake making kit from my Reddit Secret Santa. It was had a blast making these “carrot” cake cupcakes. In typical fashion, I loved the idea but then got bored/impatient on the execution. Oh well, they turned our adorable and they tasted great. 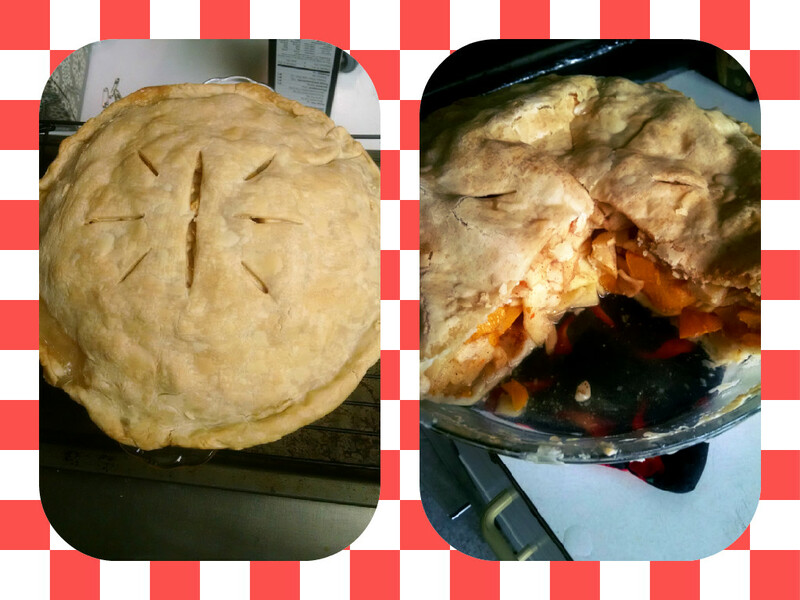 For Pi Day (3.14), I couldn’t resist making a pie. Apple peach to be exact. After seeing a billion pies at the grocery store and almost buying one, I had a hankering and wanted something homemade. This whole process was last-minute and peaches are not in season but canned peaches worked perfectly. As I often do, I cut the sugar – I believe this gives me full permission to eat pie for breakfast. I did and it was delish. I like falafel but don’t eat it terribly often. 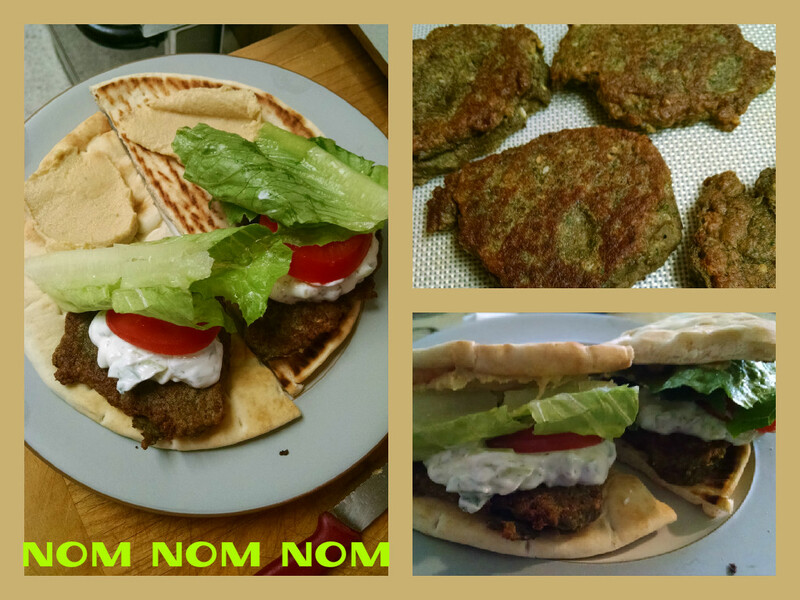 When I have in the past, I used a package mix for the falafel and it is always fine. This time I decided to whip up my own in the food processor and it was totally worth it. I didn’t use a single recipe so I can’t link you anything, but rather I looked at a bunch of different recipes and improvised base on what I had in the fridge/cupboard. Two things I did that I believe made these terrific is that #1: I doubled the amount of cilantro/parsley of almost any recipe I found. And, b) I used 1/2 chickpeas 1/2 lentils. I went with patties instead of balls since I don’t deep fry and this makes them more evenly cooked. I pan fried them to get them brown then baked them till heated through. 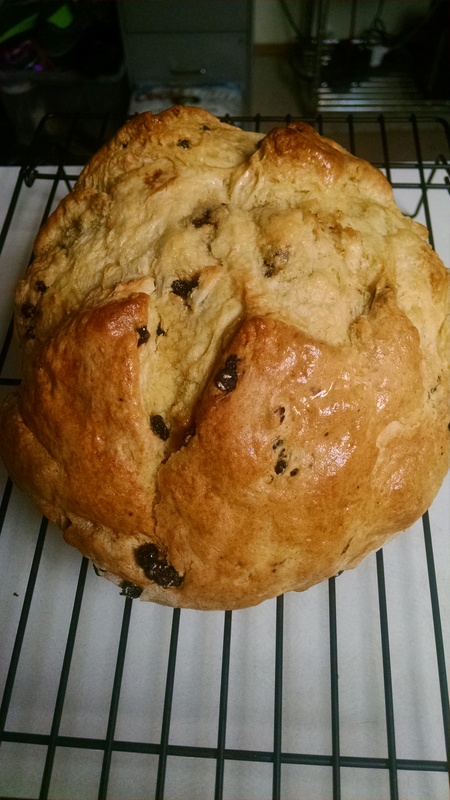 I can’t let St. Patrick’s Day pass without some Irish soda bread. Growing up on the south side of Chicago in a severely Irish neighborhood, soda bread is a staple. I remember making it as a group/class project in elementary school every year. Nowadays, if left to my own devices, I would eat this whole loaf alone. To prevent just such an occurrence, I instead brought it to work and fed others. Several coworkers had never eaten Irish soda bread, so it was fun to share this classic. It was a sunny beautiful weekend. We wanted to grill but had no buns so instead of hitting the store, I made some! 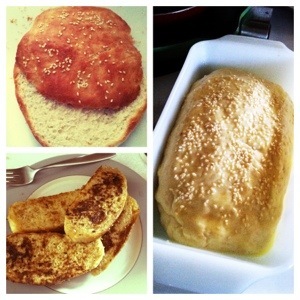 The recipe made 8 buns but we only needed 4 so I loafed the extra dough and made French toast with it this morning. Delish! The buns were a bit flat because I smooshed them too much but they were great. I cut the sugar in half because I just couldn’t wrap my mind around 1/4c sugar. Yuck! Who wants sweet burger buns! I will most certainly make these again. So easy and wonderful.